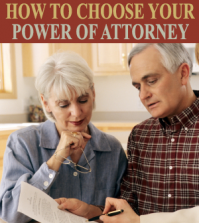 Are you going to need a durable power of attorney (also known as a DPOA) in the near future? It’s entirely possible. While no one really likes to think about such matters, this is still an issue that should be taken very seriously. If you are at all concerned about the management of your life and estate in the event of physical or psychological incapacitation, looking into your DPOA options becomes a matter that is absolutely essential. 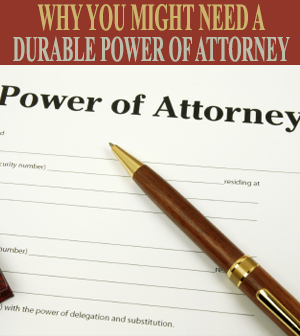 There are a number of reasons as to why you might need a durable power of attorney. 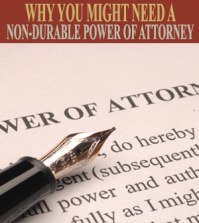 Do You Need A Durable Power of Attorney? If you are deemed to be mentally and physically capable of managing your life and estate, you will have the ability to have the previous DPOA revoked. A durable power of attorney is frequently established due to the mental and physical problems that are commonly associated with advancing age. When it is no longer possible to competently manage your affairs on your own, naming a DPOA means you are placing the burden of responsibility for maintaining these matters on that individual. The person you name as DPOA will be responsible for a number of things. They will be asked to do such things as pay your bills, manage your bank accounts, oversee your investments, or prepare/file tax returns in your name. If you do not choose your own power of attorney, someone can petition a court of law to be granted the position. This can be a time consuming and expensive matter for everyone involved, to say nothing of the possibility of the court naming someone who will not carry out your wishes. 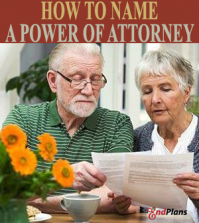 Naming a Durable Power of Attorney ahead of time eliminates this possibility from ever occurring. Naming a DPOA is something that should be taken care of as quickly as possible. You’ll be glad you did. 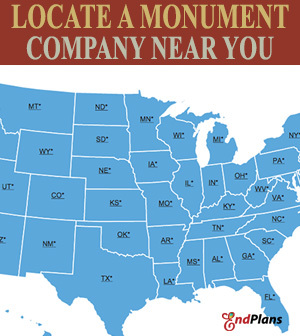 At End Plans our mission as funeral planning guide is simple. 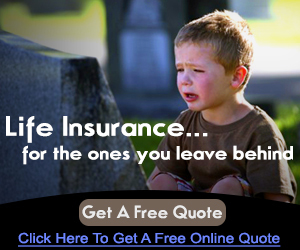 To be the best end of life planning blog that provides an extensive collection of knowledge and useful articles on end of life planning and funeral pre-planning. We’re here to help everyone who wishes to become more involved with and prepared for their own death to relieve pressure and stress on their loves ones. We promise to take a logical approach on topics without dancing around issues or terms. Death is a natural part of life and there are more ways than ever to prepare and plan and protect the ones you love. 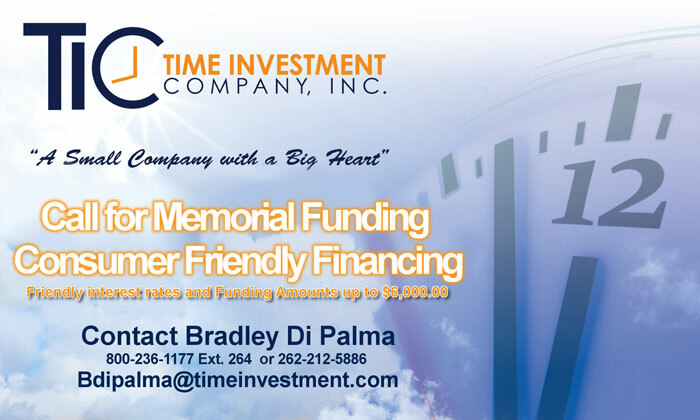 Our goal is to be the premier destination for anyone that has an interest in or questions regarding end of life planning and funeral pre-planning. We strive to maintain a trustful and unbiased collection of original content, product and website reviews, and end of life tips. Copyright © 2014 End Plans LLC. All rights reserved.